Why is Underwater Photography So Difficult? 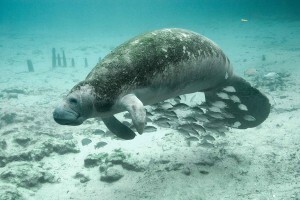 Home > Why is Underwater Photography So Difficult? The basic purpose of underwater photography is to bring marine life above the surface. Most people want to know more about the creatures living under the waves but don’t really want to go underwater. This is something which underwater photographers capitalize on. The underwater world looks very different when it is captured up close and can enthral and captivate almost anyone. Since water can distort and refract images, the closer a photographer is to his subject underwater, the lesser the distortion is going to be. This means that they have to take some really up close and personal pictures with aquatic life. Composition is very important when it comes to underwater photography. The rules of basic photography apply here as well. But all pictures should be shot at an upward angle to the subject instead of away. Since most sealife try camouflaging themselves and blending into their habitats, getting the best picture is not always easy. That’s why a photographer needs to have the proper training to ensure they can get the best possible photographs. There is a lot of information about photography available on the internet. But it will never be able to compensate for a photography workshop. The skills taught at a workshop by masters of the trade are something that cannot be learnt without personal interaction and practical application. So for anyone who is thinking of becoming a photographer and is looking at taking up underwater photography in particular, browse through the resources on this website and then sign up for a workshop at the earliest. How to create a perfect flatlay?